The flag of Vanuatu is divided into three sections. There is a red horizontal stripe over top of a green one, and on the left side of the flag there is a yellow Y that runs through the middle of the flag. 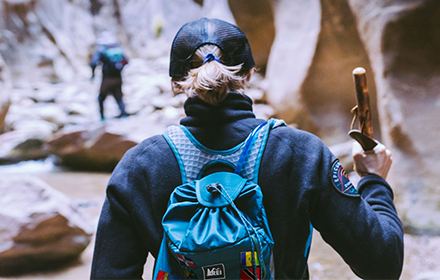 The Y is outlined in black with a black triangle filling in the Y. Inside the triangle there is an emblem of a boar's tusk with two fern leaves inside it. Meaning: The black represents the Melanesian people that make up the majority of Vanuatu's population. Red represents the country's unity through blood. Green represents the land and its agriculture and yellow stands for the Christianity of the people, the light it shines on them, and peace. The boar's tusk is a traditional Vanuatu symbol of prosperity and is worn as a pendant by islanders. The leaves stand for peace. If looking at Vanuatu on a map, the islands that make up the nation form a Y-shape; this is represented by the Y on the flag. 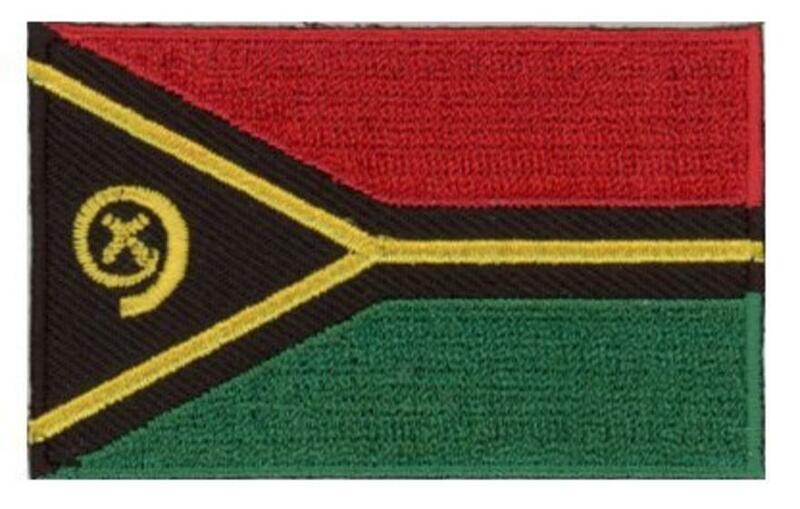 History: The Vanuatu flag was adopted on February 13, 1980. Vanuatu gained independence from France and Britain on July 30, 1980. After the Vanuaaku Party led the country to independence the party's colors were adopted as the basis for the national flag. 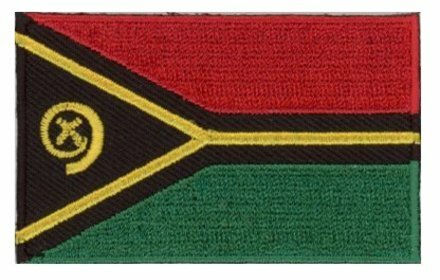 Interesting Facts: The final design of the Vanuatu flag was chosen shortly before Vanuatu gained independence by a parliamentary committee from flags that were submitted by local artists (source: worldflags101).